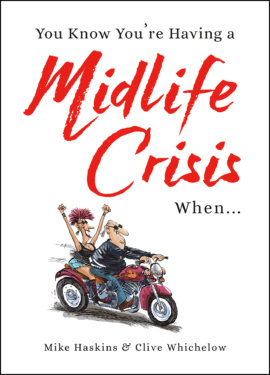 You Know You’re Having a Midlife Crisis When..., ISBN: 9781786850195 - available from Nationwide Book Distributors Ltd NZ. Try not to Panic: it's only a midlife crisis. And besides, attempting to recapture your youth can be a lot of fun! Who said there's anything wrong with growing old disgracefully?